After I do log in, the hamburger menu greets me by name, but the Nearby and Watchlist buttons are missing. I'd really like the Watchlist back. 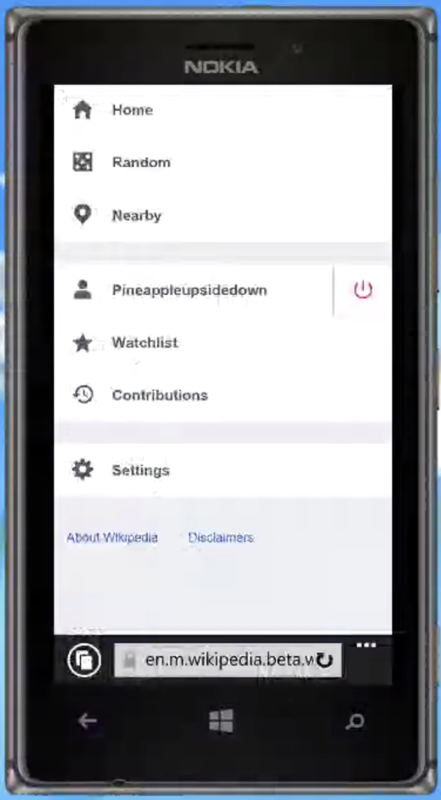 Visit https://en.m.wikipedia.beta.wmflabs.org/wiki/Special:MobileMenu with a grade C phone. Watchlist and login should be present and both have icons. 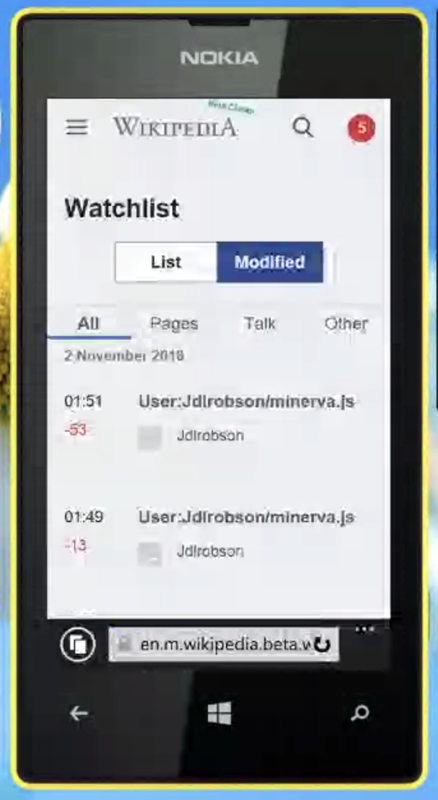 Ensure the page watched is present in the "List" view. "Mozilla/5.0 (compatible; MSIE 10.0; Windows Phone 8.0; Trident/6.0; IEMobile/10.0; ARM; Touch; NOKIA; Lumia 520)"
Kaartic assigned this task to ovasileva. Kaartic added subscribers: gerritbot, Aklapper. @alexhollender the confirmation page has only one button "Yes", and no "cancel", "go back". Also, there are no back buttons on the page, if we ask the user for confirmation, we should allow for declining the action. @pmiazga I agree that we should have a cancel button next to the confirmation button. Although, perhaps an even better solution here would be to skip the confirmation/cancel step altogether, since I'm not sure it's necessary. • Jdlrobson added subscribers: bmansurov, • jhobs, dr0ptp4kt and 2 others. Another task please since such a change would impact desktop too. Let's just do the most simple thing here. 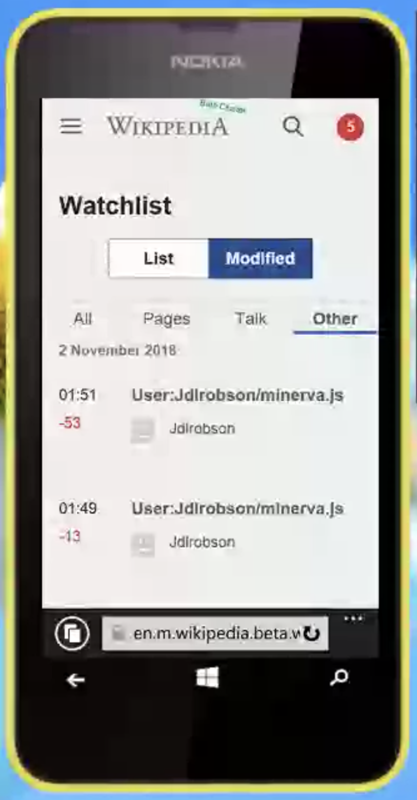 @Jdrewniak suggested making the watchstar a form. ovasileva edited projects, added Readers-Web-Backlog (Readers-Web-Kanbanana-Board-2018-19-Q2); removed Readers-Web-Backlog. @ovasileva Thank you for marking this for inclusion in Tech News. Making sure I don't misunderstanding, something like this, in very simplified terms with a link to this Phab task? "Some old browsers can use the watchlist again. This has not worked for a while. These browsers are called [[<tvar|gradec>mw:Special:MyLanguage/Compatibility#Basic (Grade_C)</>|grade C browsers]]. This helps for example Window Phone 8.1 with Internet Explorer and Limuia 535 with Windows 10. " ^ @Johan that will be correct as soon as the patches are merged. So "can use" should probably be "will soon be able"
This is also limited to the mobile site. • Jdlrobson reassigned this task from • Jdlrobson to alexhollender. Confirming that I am able to add pages to my watchlist using an LG Exalt phone with the Opera Mini browser. • Jdlrobson assigned this task to Ryasmeen. • Jdlrobson added a project: Audiences-QA. But I was surprised to see that there's no obvious way to go to the article page from the page you see after successfully adding/removing an article. I had to hit back twice to go to the article page. So, coming to the point, it would be nice to have a link back to the article page that reads 'Go to article' in the page that shows the message after successfully adding/removing an article to watchlist. 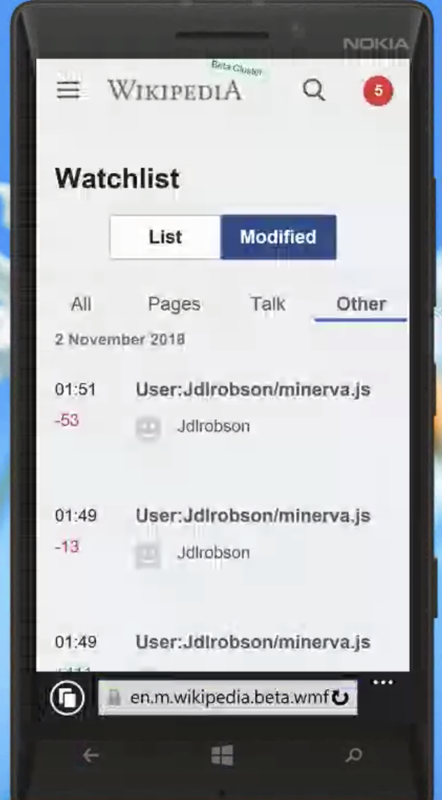 Also I noticed that the watchstar remained filled on the page that conveyed the message that the article and it's talk page have been removed from the watchlist (see screen shot). I guess it's wrong. 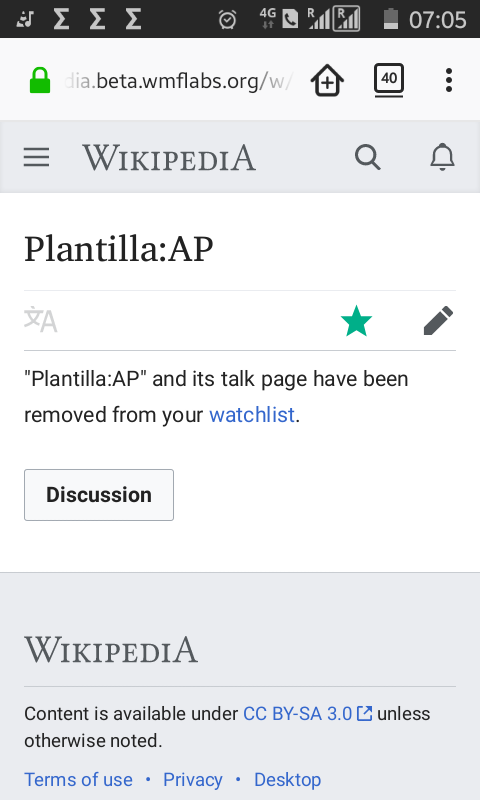 The watch star shouldn't be filled when the message states the article has been removed from the watchlist. • Jdlrobson added a subscriber: Ryasmeen. Thanks for the feedback @Kaartic I've opened T208971 ! @ovasileva can you sign off on this?